The management of RaazDawaKhana are committed to protecting the privacy of our patients within our practice. Information collected is kept strictly confidential and used only for the medical and health care of patients. This policy applies to all employees and patients of RaazDawaKhana. RaazDawaKhana recognises that the information we collect is often of a highly sensitive nature and as an organisation we have adopted the privacy compliance standards relevant to RaazDawaKhana to ensure personal information is protected. 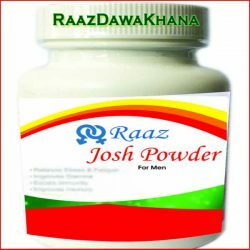 For administrative and billing purposes and to ensure quality and continuity of patient care a patient’s health information is shared between the medical practitioners of RaazDawaKhana. RaazDawaKhana will employ all reasonable endeavours to ensure that a patient’s personal information is not disclosed without their prior consent. Individuals have the right to obtain their personal information in accordance with the law. Requests must be made in writing and an acknowledgement letter will be sent to the patient within 14 days confirming the request and detailing whether the request can be complied with and an indication of any costs associated with providing the information. Time spent and photocopying costs when processing a request can be passed on to the requesting patient. Information can be expected to be provided within 30 days. The management of RaazDawaKhana understands the importance of confidentiality and discretion with the way we manage and maintain the personal information of our patients. The Practice takes complaints and concerns about the privacy of patient’s personal information seriously. Patients should express any privacy concerns in writing. The Practice will then attempt to resolve it in accordance with its complaint resolution process. All employees of RaazDawaKhana are required to observe the obligations of confidentiality in the course of their employment and are required to sign Confidentiality Agreements.